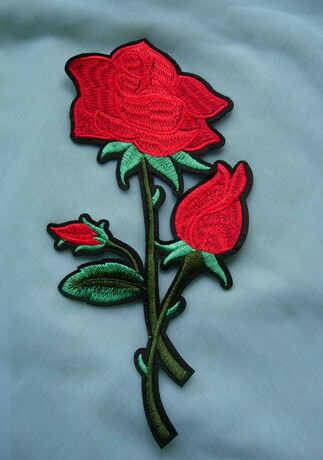 PT194 Trendy Rose Embroidered Patch Applique Iron On Dress, great for design your dresses, kid dress, skating dress, tutu dress, dancing dress, barrel racing jacket, western dress, shirt, tee, t-shirt, hand bag cap, hat or any projects. 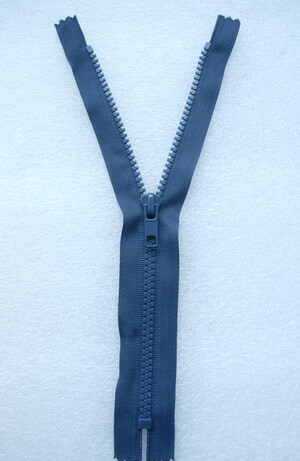 Iron on or sew on. 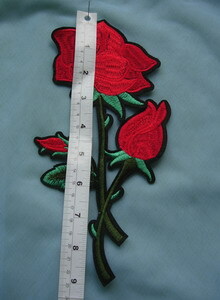 Size: 4 1/2" by 9 1/2", approximately.